The first American outing for the Guilds of Ravnica Standard has brought with it tons of stories and highlights. It's hard not to keep your eye directly focused on the format itself, as it seems to change near-daily, but there was great cause to see the stories behind the cards. Here are the top takeaways from the first day of Grand Prix New Jersey action. It's easy to find yourself at sea in a new Standard—waving around, mooring yourself to whatever harbor looks safe. But there are a few guiding lights in uncharted Standard waters, so often people tack directly to Brad Nelson, a Standard king if there was one on where to go. 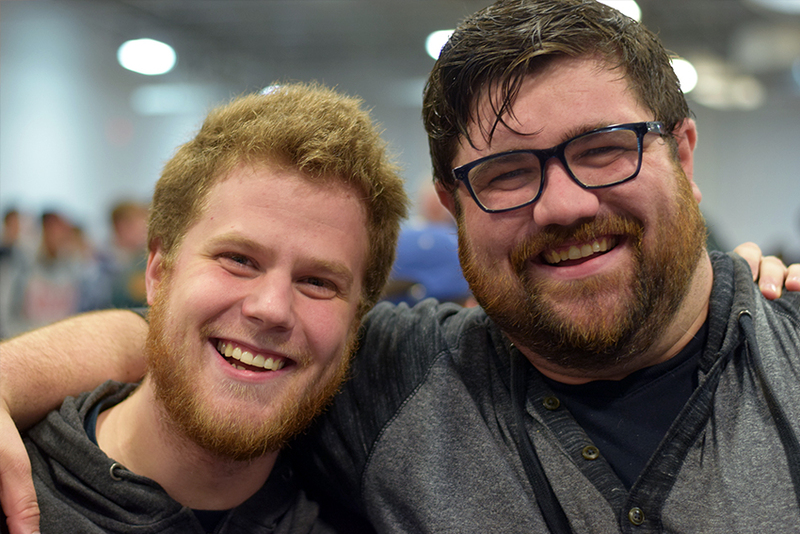 So I sat down with both him and his brother in arms and in blood Corey Baumeister to learn not just how to steer a Standard ship, but how to steer this Guilds of Ravnica catamaran. Just don't ask to see his decklist. Fine, @fffreakmtg, I won't post your #GPNJ decklist yet. Ugh, yes, I DO think it's awesome. Sigh, yes, you can win the whole thing. Yes, you might completely scrub out. Because he will not show you. 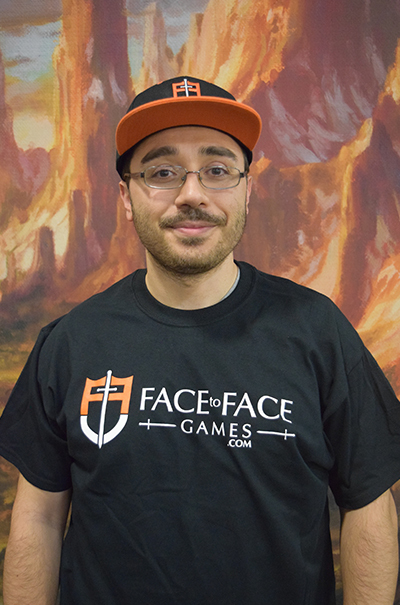 “The most important thing in a brand new format is to pick up decks and play them," Nelson salvoed. Though his brother chided him for how simple that sounded, Nelson doubled down. He said it's really easy to find a deck or a strategy you like, and eschew other ideas, which is a “giant mistake." The first days and weeks of a format should be spent feeling it out, and seeing how things go. "[This] Monday was the first time in the format I was like, ‘What deck am I playing?'" He said. It took that long to have the whole spectrum to narrow down. The whole time before that was just “picking up decks and playing them”. That's why in Pro Tour testing it's important to test the Limited portion early, Baumeister stressed, then narrowing your Standard testing at the end, when you have the broader picture of what's going on. 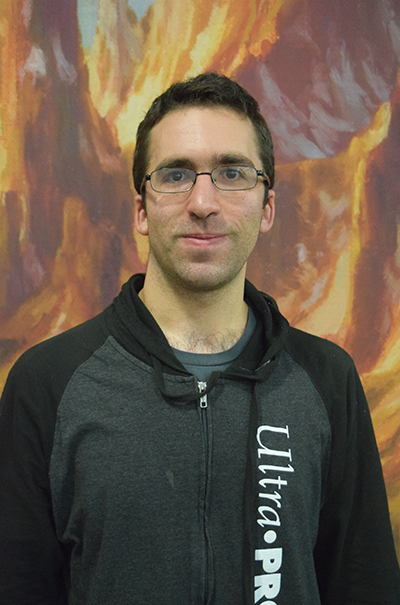 “Limited evolves too, but it doesn't evolve on a StarCityGames Classic decklist page, published for everyone to see," Nelson said. Nelson's next advice came from individual cards. “It's important to trust you initial reports of cards over your opinions on them," he added. “Legion Warboss is a perfect example ... It looks like Goblin Rabblemaster; it's supposed to be Goblin Rabblemaster. But it's not. ... or who knows? Maybe in this format Goblin Rabblemaster wouldn't even be good anyway." As Baumeister nodded along, Nelson emphasized his point, putting his open palm on the table. Living by the credo that results trumps guts can be the difference between early success and failure. “So the first decks [of a new format] are proactive and linear," Baumeister said. In this format that meant Mono-Red—still full of powerful cards from the last format—and decks like Selesnya Tokens. He continued that people fall into the trap of finding a deck they love and sticking with it, “but you have to be able to give it up," and with the linear decks you often will have to. “That's when the Midrange decks take hold ... Golgari and Boros Angels prey on the linear strategies," Nelson said. “And what always happens next is Midrange Highlander — there can be only one Midrange deck. That was Golgari." So as the last remaining Midrange deck continues gaining traction and clout, then begins warping to beat up other versions of itself, and all the other decks warp to beat Golgari. “That's the ‘Second Metagame'" Nelson said. “That's the (first) turning point in the format. You have a bunch of inbred Midrange decks trying to beat each other up, and a bunch of inbred linear decks trying to beat up the Midrange." Usually, at this point, the Control decks tend to start slaughtering everybody. They lost in the first metagame because they were busy learning how to beat the more straight-forward strategies, but as Midrange tries to out-big each other, they will always lose to Control that can always go over the top of them, playing the bigger, slower game of drawing cards and killing/countering things. But for Guilds of Ravnica Standard, here's where Carnage Tyrant enters the story. “Carnage Tyrant is key." Nelson said. Golgari has Carnage Tyrant, which has kept the Control decks down, as they still try and beat it. It's an awkward threat to answer, and as Nelson said, "Magic is making your opponents' answers as awkward as possible." Nelson explained, “Standard is designed so that every permanent has an answer, but every answer has only a subset of cards it's actually good against ... Seal Away is a perfect example." He said the card could be a catch-all, but the prevalence of Vigilance and Enter-the-Battlefield abilities keep it answering only certain niches. “Right has Ravenous Chupacabra dominated the format, that's when you saw Adanto Vanguard, History of Benalia, Toctli Honor Guard, and the phoenixes [Arclight Phoenix and Rekindling Phoenix]. That's all by design," Nelson explained. So instead of Control coming up, new strategies have started cropping up to prey on the top dog—mainly Izzet Phoenix. In just the last week, the spell-laden blue-red deck has started running circles around everyone, and people are scrambling to figure out cards to add to defeat it without losing to the other strategies out there. It's many card drawers allow for consistency, and cards like Maximize Velocity pairing with Crackling Drake are attacking the format from different angles. “It's so new, we need it to settle," Nelson said. “We need the hivemind to find the optimal build [before we can figure out its place in the metagame]." Baumeister flashed his sleeved-up Blue-Red spells, ready for battle at the Grand Prix and said “Is my name ‘Hivemind' now?" Nelson rolled his eyes, shook his head, and sighed. All these parts of Standard are constantly changing, so it's hard to find footing. “I live by a code in Standard," Nelson said. “It's the same code for every zombie apocalypse movie ever—You move, or you die." So how does someone approach these ever-shifting sands? We can't all just pick up and learn a new deck every week as we watch the format shift like the pros can. Nelson had the solution: "Know when to change decks, or change your deck." “Especially in a fundamentally five-guild metagame, you can see the trends," Nelson said of the current Standard. “You have to find them, then make the change that solves it, which is really difficult, but that's where you can tweak your build to still play your deck despite the changing tides." “And you have to be willing to throw previous card evaluations out the window," Baumeister added to strong agreement from Nelson. Nelson laughed thinking about what he was about to say. “Yeah, when changing things, I ride a fine line between feeling like I am an complete idiot, and a genius." So where does that leave us for this weekend? Only with the idea that you should be learning what to change the next time. Even though Golgari is the agreed-upon “best deck” both Nelson and Baumeister have already moved on from it, playing Boros Angels and Izzet Phoenix respectively. When Standard is wide open, pick a lane, but only to learn how that lane operates, and be ready to change if there's an obstacle in your path. This was the most known deck coming into the day. It's the expected top dog (or dawg, doge, or doggo, depending on your predilection), and represented a big portion of the field. 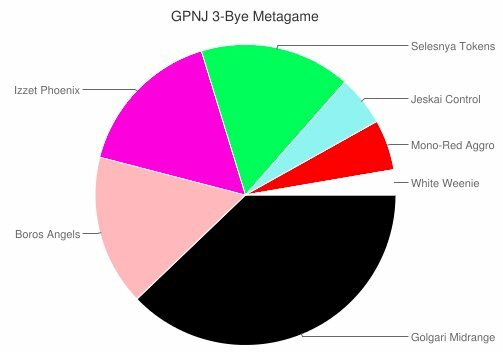 It was a little under 40% of the three-bye metagame with 14 pilots, but as Nelson alluded to, could the Midrange deck remain in the lead if we're in the turning point of the metagame? It's easy to see the appeal of the deck, as Oliver Tiu expounded in his Oli tone, “It plays the most powerful cards. It's great." Noah Walker strongly agreed. They even went so far as to call Wildgrowth Walker “a mini-Tarmogoyf that gains you twelve life." But it's not quite that simple. The deck is a whole bunch of slow card-advantage engines, and though they're value-laden, the deck doesn't have any truly spectacular matches. And as Golgari decks are building for the mirror now, they get worse against the rest of the field that are looking to tackle them to the ground. “Yeah, it's fine," former Player of the Year Mike Sigrist said of the deck. He was coming off a loss at the time, and would get another in the subsequent round. This was slightly surprising coming from the man who'd written a detailed card-by-card analyses on the deck less than a week ago. There's a cornucopia of powerful cards for each slot in the deck, so there's a lot of little choices that can strongly change performance in the field, and Sigrist had all-but optimized it. But although the deck is good, Sigrist already seemed to be moving on. AJ Kerrigan and Jon Sukenik found an interesting solution. Representing the homestate Comic Book Store card shop, they came up with an elegant fix: Just play one of everything. The two best friends, mired in the real world which limited their true testing time, just decided to split every baby in the deck and aggregated it all into a giant colloid. Their 75 is reminiscent of the old “Average Decks” Frank Karsten would build—just look at all the decks and average them together. Despite this one-of potential outlier, Sigrist and a few others feel the deck is good, but can't survive being the hunted one. So it's unlikely that it will ever be bad, but that it might not always be as good as it is now. When Sigrist was asked about what's the future of this changing Standard format, he said simply, “Something with Steam Vents." “My biggest was 34 today." “Only 17, but it was against Joe Demestrio." These were a squadron of players talking about their biggest Maximize Velocity on a Crackling Drake today. “I cast it on a Rekindling Phoenix egg token ... yes, I won that game." The new hotness on the block that everyone is talking about is the Izzet deck—filled to the brim with things mad scientists love to do. Even the Grand Prix–rare Jon Finkel was on the Drake Train this weekend (who just clawed his way into Day 2 after dropping his first two rounds). 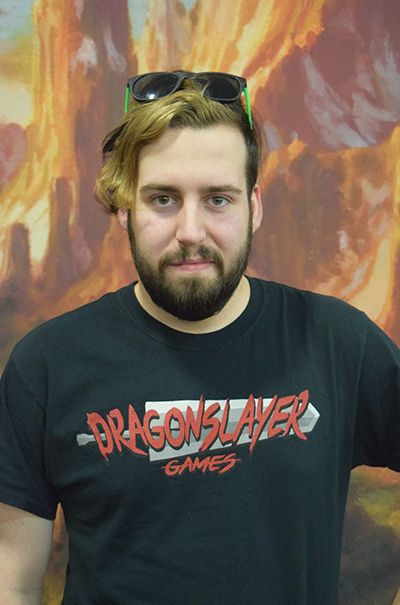 I sat down with Pro Tour Ixalan finalist Pascal Maynard and talked a bit about why the deck is so enticing and how he got on the deck. “I was helping my friend to test, and I tried this deck. Immediately I saw it's exactly my style—bunch of cantrips, some direct damage, graveyard shenanigans. It was perfect ... So I convinced him to play it, then convinced myself to come to Grand Prix so I can play it too." “It starts with Electromancer turn two," Maynard said. “If you have it, it's easy game ... You chain spells, draw cards, kill everything, and attack for a million." He continued, “But the second part is if you don't have it. Then you use Shock, Lava Coil, and Lightning Strike to survive—you might bring back an Arclight Phoenix to block for a bit—then cast Drake. if it lives, you win, if it doesn't, keep going until you do." He added that Maximum Velocity with the Crackling Drake can feel like Splinter Twin—a sentiment Eduardo Sajgalik repeated independently later. 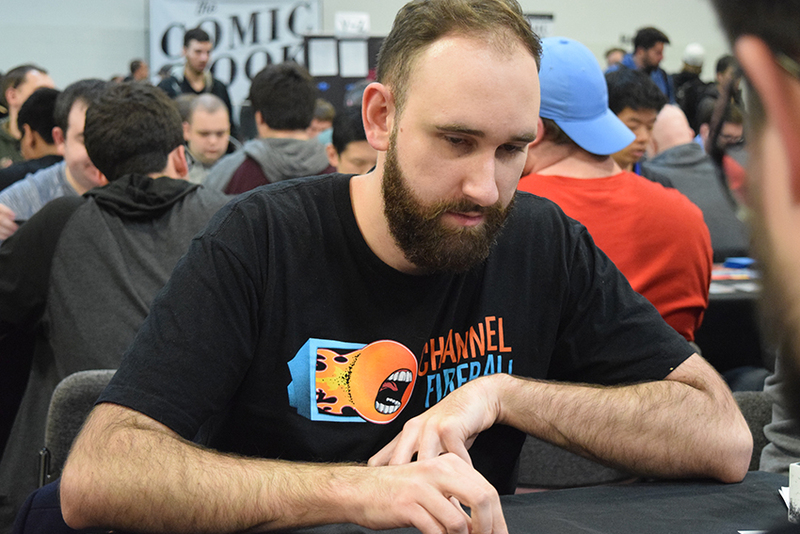 “The deck's bad, but fun to play," Sajgalik said. Even though he's having a blast with it, he personally doesn't see a long shelf life. “It will be easy enough to beat it if people want to ... cards like Ravenous Chupacabra are very bad for the deck." He said, “In those cases you have to really lean on a second Maximize Velocity." The entire group disagreed. Maybe they're blinded by the fun. 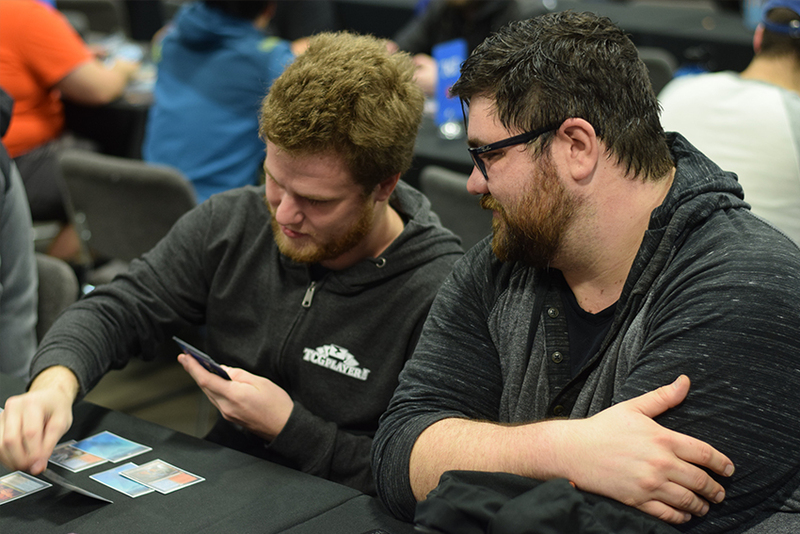 Responding to why he played the Selesnya Tokens deck, three-time Pro Tour Top 8er Sam Black simply said, “Boss said so." Who's boss? “Jack Kiefer, of course." 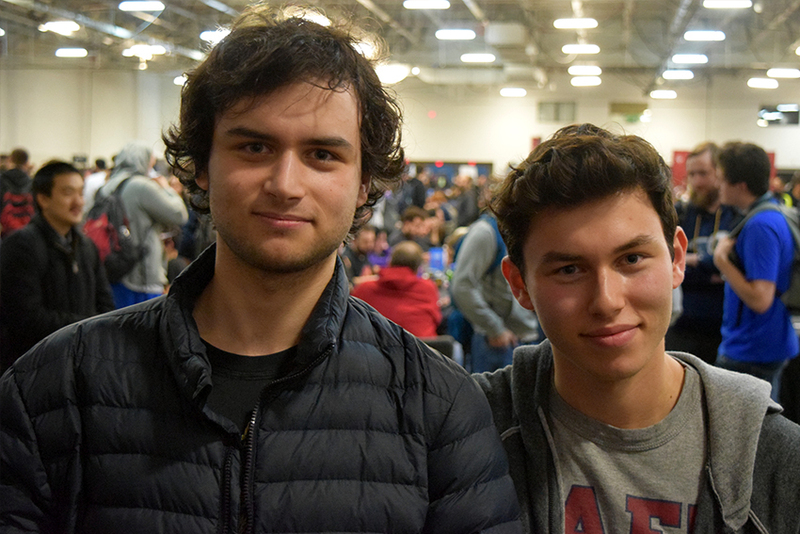 Over the course of a short while in team chats and online games, it looked like Jack Kiefer had converted a slew of people to the deck—including Sam Pardee, Matt Severa, and Ben Yu. “It beats everyone," Black said about the little tokens that could. Kiefer was able to explicate a little more than the Madisonian did. First, Kiefer said it's good against Golgari, as “you set up with Path of Discovery and Wildgrowth Walker, and use explore to draw into the late game." Now, that might sound exactly like Golgari's plan, but Kiefer said the deck has a secret weapon — The Immortal Sun. "[Golgari] can only remove artifacts with Planewalkers, but The Immortal Sun already answers those for you ... they explore to draw into their trump, but your trump beats theirs," Kiefer said. Once The Immortal Sun is buffing all the little tokens you have out already, sometimes in conjunction with a Trostani Discordant or the like, winning becomes pretty elementary. Admittedly, the deck has trouble with Izzet Phoenix deck—“Drakes are good, and they attack for a lot of damage," his said in his trademark Jack stoicism—but he has gameplans. “Just gain life until you can set up your board and win." Boros Angels – A Potential Future? This is slightly the most speculative, Boros Angels, a midrange deck that adds lifegain and white removal to the table, could be a possible next step for the format if it shifts away from Golgari. As Nelson tells it, it has the benefits of a Control deck in the way that it can go over almost any other deck in the format, including Golgari, but it's not as susceptible to things like Carnage Tyrant, and has a built in stop sign against aggro with the life gain, and Izzet with all the big, winged creatures. All of the Peach Garden Oath are on the deck (and have all piloted it to 7-1, one better than Nelson) are singing the deck's praises so far. Nelson said he believed this was a “Day 2 deck” so we'll wait and see if that proves true. This was small moment for sure, but one that feels incredibly earned. Veteran Christian Calcano has hit some important career milestones in the last year or so. In his storied career he had eight Grand Prix Top 8s with two wins, and a recent Pro Tour Top 8. Today marked just a nod to his continual commitment and strong gameplay when he earned his 1,000th Premier Play win. 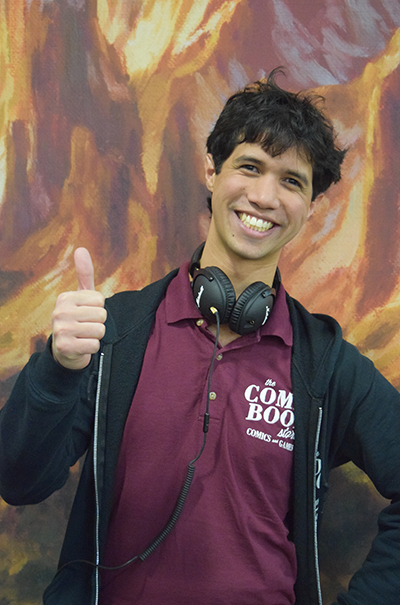 Next round at #GPNJ @CCalcano is looking to reach a milestone in his veteran career—his 1000th Premier Event win! He was hoping it would come one round earlier, but in the last round of the day, he pulled through thanks to Find // Finality and crossed into four-digit territory. Calcano lamented that he had just gotten rid of his last 1000 Yen leftover from his Japan trip—missing out on a great photo op. But that's ok, we've got the photo right as it happened, and the calculator is ready to move onwards and upwards. 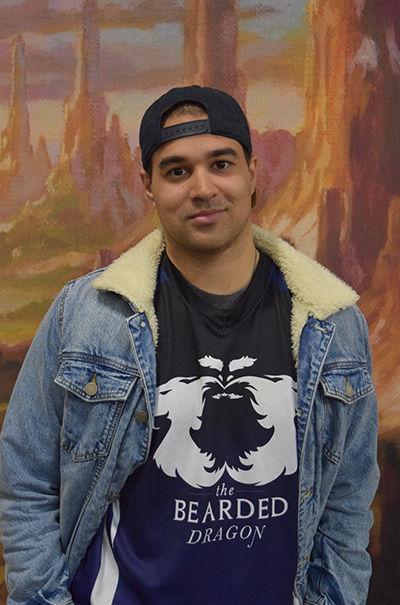 Christian Calcano bounded back in Round 8, using Find // Finality to turn the corner and earn his 1000th Premier Event win while here at #GPNJ. There were ten players at 8-0 (and poor Gabriel Joglar was 7-0-1); here's a quick rundown of each of them. 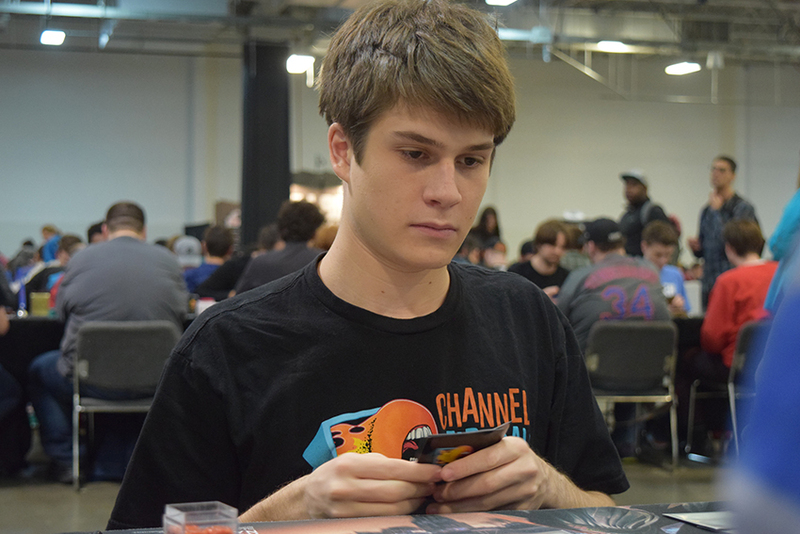 Eli Kassis is getting to be a regular around these parts with five GP Top 8s so far. He played Jeskai Control and only lost one game. I asked "to what?" and he said, "Flood". He felt strong about his choice with three main deck answers to Carnage Tyrant, including a Star of Extinction. 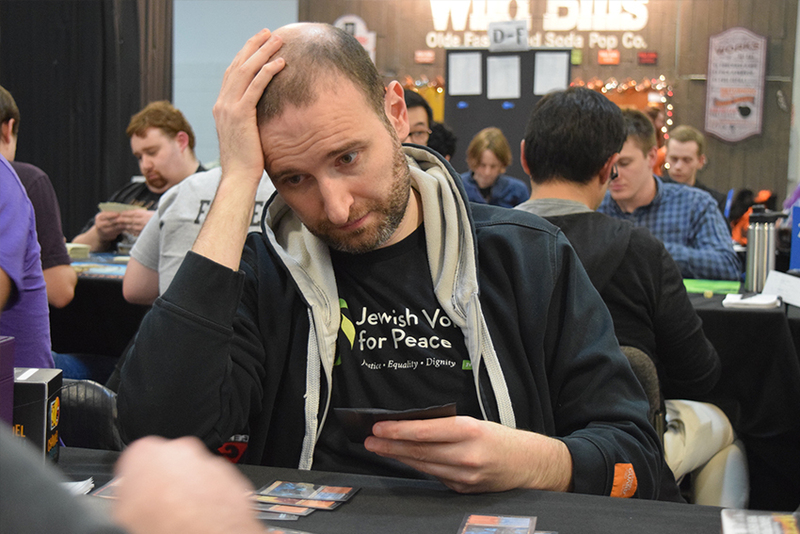 Benjamin Laufer beat William Jensen in Round 8 to get here. He hails from Roxbury Connecticut, and returned to the game after a hiatus in high school, though he started playing at 10 years old. It's his first time touching the Standard cards, and is really glad he sleeved up Izzet Phoenix — a singleton Thud has proven its worth well. His brother actually won a trial, but wasn't able to make Day 2. 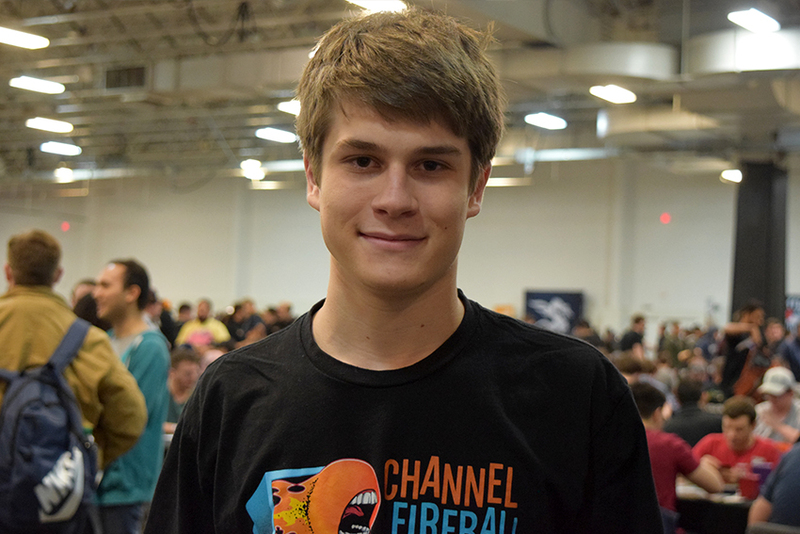 Thomas Yarbrough hails from Tulsa Oklahoma, and this is his best GP result to date—his first Day 2! 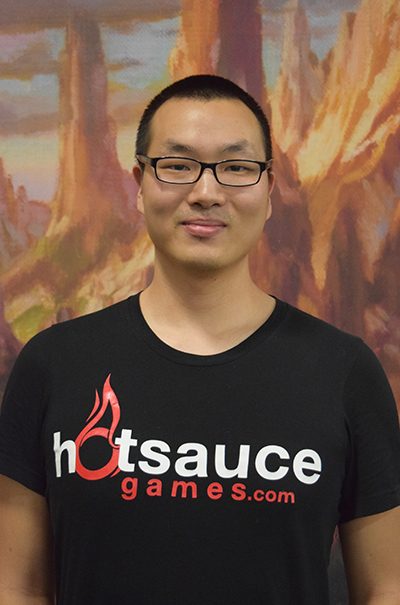 He's been playing since 2009, and brought Jeskai Control with Crackling Drakes. He's been casting Explosion with Drakes in play all day, hitting for the full 20 in one swoop. Matt Nass keeps being very good at Magic: The Gathering. He has ten Grand Prix Top 8s, and two wins in just this year! He was in Brazil for Paulo Vitor Damo da Rosa's wedding just a week or so ago, but the 19 hours flights haven't slowed his game apparently. 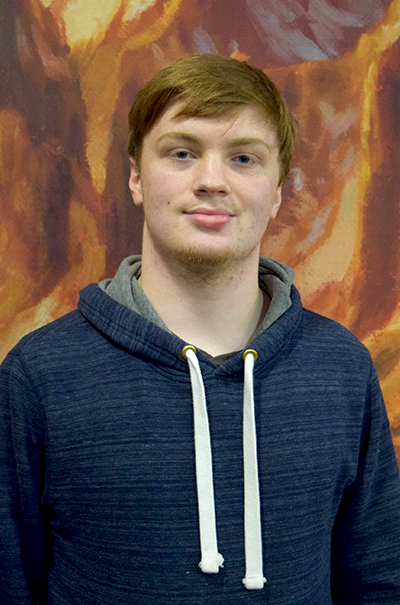 He played Golgari because “It plays good games; it's a good deck." But he delivered that response exactly as flatly as it reads. Not sure how facetious he was about it. 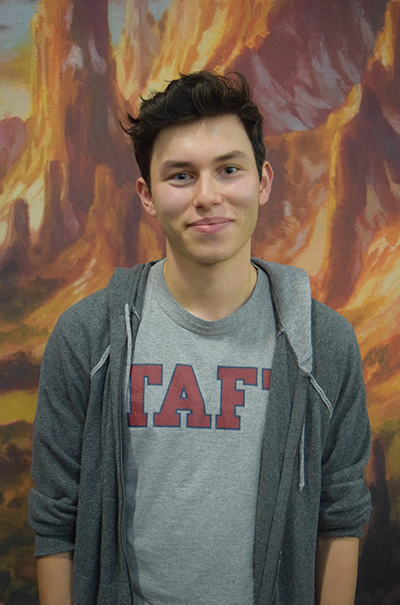 Jonathan Sukenik has been representing his "I-Can't-Choose Golgari" deck fantastically. He and best friend AJ Kerrigan couldn't decide on card inclusions for the build, so they played all of them—they have eight one-ofs in the deck. He's 8-0; Kerrigan's 7-1. As discussed in the Golgari Midrange section, Vraska's Contempt is both their favorite one-ofs. They would definitely play more in the future. Mitchell Garrant is coming from Manchester, New Hampshire. He's brought a Jeskai Midrange deck trying to beat the other Midrange players. He changed into after he found Boros Angels lacking. So far, his Jeskai isn't. 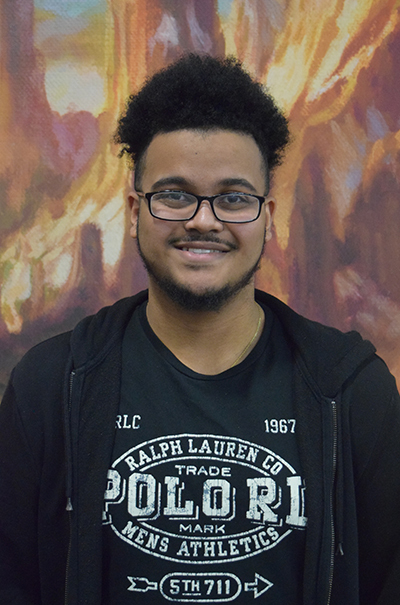 Orlando Lucas is 16 years old and from Virginia. Since discovering the control archetype he can't stop playing it. “Why would I stop saying ‘No'?" He asked rhetorically. So he played Esper Control this weekend, despite discovering too late he had no maindeck answers to Carnage Tyrant. Didn't phase him in the least. Andrew Tenjum is on a bit of a roll isn't he? Fresh off his win at Grand Prix Denver, he's still rattling off the wins here. The Madisonian brought a Boros deck to the party, and doesn't plan on stopping the music today. 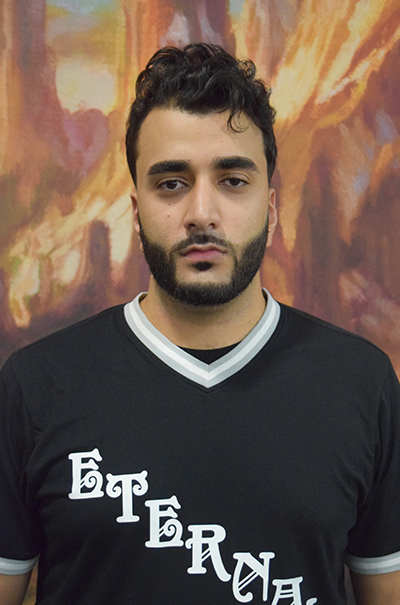 Nizar Sarhan is the local player from Paterson, NJ. His homebrew Boros Mentor deck he designed to beat Izzet has been working like gangbusters. Round 8 Game 3 was especially satisfying, as the Bounty Agent he added because he was soft to Lyra did exactly as it was supposed to. When his deck curves right, it seems unbeatable. Tariq Patel is a Canadian living in Morristown, NJ and wanted to thank game store Bearded Dragon for being amazing. He's happy with having brought Golgari Midrange, but took people's advice playing Vraska, Golgari Queen which he's now calling "very suspicious" — he was trying very hard to find a nice way to describe that he hates it in the deck. But either way, he wanted to make sure I shouted out to the squad back home—he was quite adamant, even though they were the ones who potentially gave him the suspect Golgari Queen. These were the stories as we saw from the floor. They'll be plenty more coming tomorrow!